IPL franchise Delhi Daredevils will now be known by a new name. The owners of the franchise have opted to change the name to Delhi Capitals. They announced the new name in an event and also changed the tagline. The new tagline of the team is “This is New Delhi”. Earlier this year, JSW Sports – the owners of ISL Club Bengaluru FC – had bought fifty percent stake in the franchise and hence, the change. Kiran Kumar Grandhi, the owner of the GMR group hopes that it would bring good fortunes for the team. “We’re sure this exciting partnership is going to do good for Delhi’s IPL Team this season. The team has built its young core foundation and they’re now rising at the national level,” said Kiran Kumar Grandhi in the event. The franchise is undergoing a lot of changes. Last month, the former Indian cricketer Mohammad Kaif was appointed as the assistant coach. 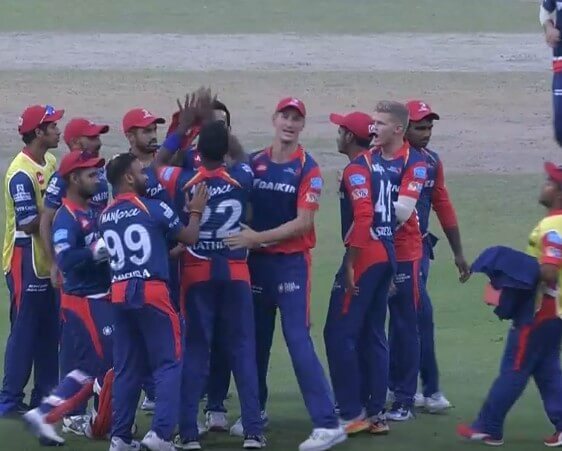 Now, the team has announced that Shreyas Iyer will be the captain for IPL 2019. Last year, Delhi had roped in Gautam Gambhir from the auction after Kolkata Knight Riders released him. Gambhir led the side in the initial half but both the side as well as the captain failed miserably. As a result, Gambhir sidelined himself midway through the season and Iyer went on to lead. Over the years, the Delhi franchise has been one of the sides that has found itself languishing in the bottom half of the points table. They have chopped and changed quite a few times and it’s nothing new for them. However, they would hope that under the new name Delhi Capitals, the fortunes would swing in their favor.